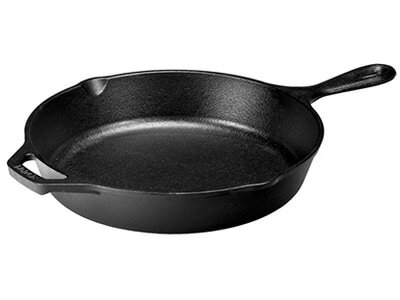 Cast Iron is naturally free of dangerous chemicals found in Teflon and other non-stick surfaces. 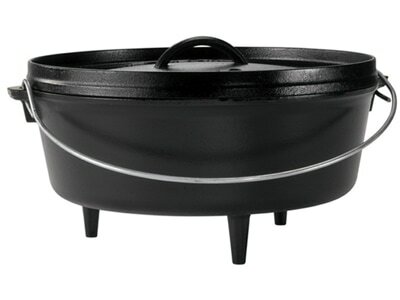 Come on in and see all of our Lodge Cookware! 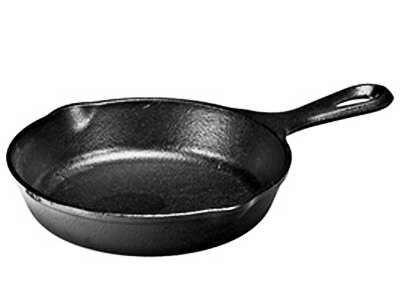 The Lodge Manufacturing Company is the last producer of fine, American-made cast iron cookware. Imported cast iron products can't begin to compete with the quality of this line, crafted by a company that has been forging cast iron pieces for 118 years. 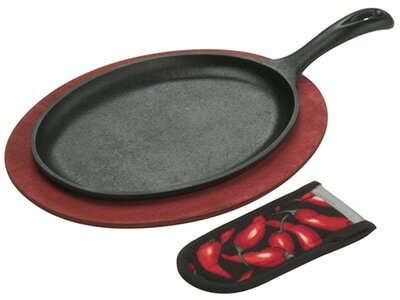 6.5 inches - The Lodge 6.5 inch skillet is a great option for small meals or side dishes. It also makes a great serving piece. 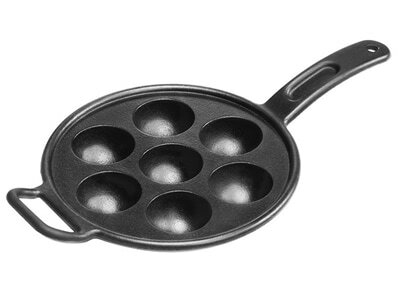 8 inch skillet - The classic size for scrambled eggs or a batch of cornbread, the Lodge 8 inch skillet combines timeless design and flawless function. 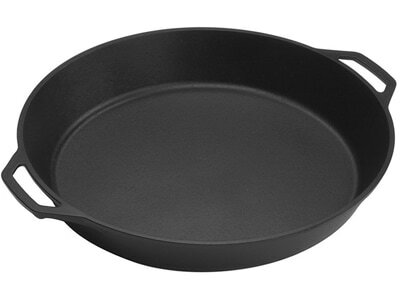 9 inch skillet - The Lodge 9 inch skillet excels at sauteeing on the stovetop and is the perfect pie pan in the oven. 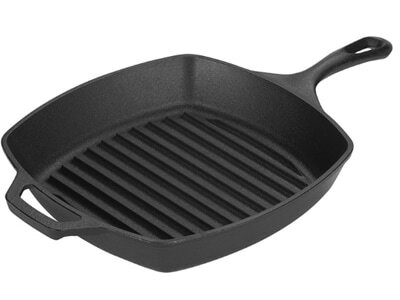 10.25 inch skillet - Hailed as an "essential kitchen tool" (Martha Stewart 2008), the Lodge 10.25 inch cast iron skillet is crafted to cook memorable meals for generations. 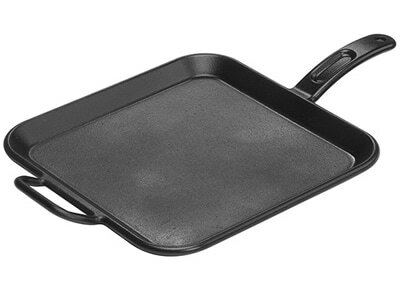 12 inch skillet - The Lodge 12 inch skillet will be your go-to skillet for years to come, and now features an assist handle for easier handling. 13.25 & 15 inch skillet - Superior heat retention and a generous size make the Lodge 13.25 inch skillet a welcome addition to any gathering. 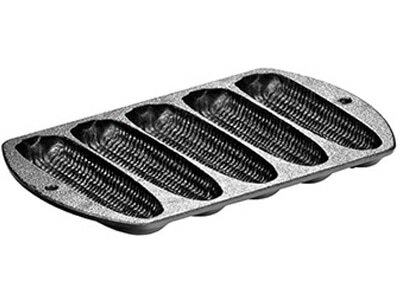 Grills and griddles of many shapes and sizes. Put restaurant stripes on your grilled favorites like a pro. 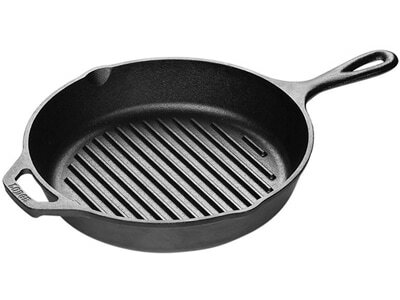 The Lodge round grill pan's ribbed bottom lets you keep food from simmering in fatty drippings for lower fat cooking and is seasoned and ready to use. 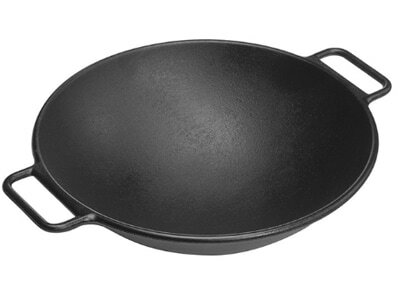 The cast iron of the Lodge 14 inch Wok holds heat and distributes it more evenly than other metals, making short work of stir fry and other ethnic dishes. 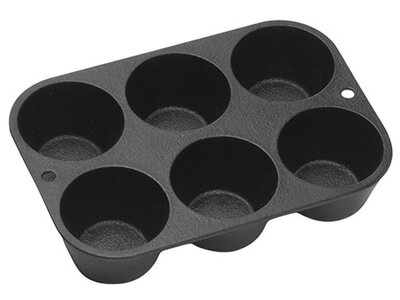 The Lodge Muffin Pan, made of cast iron for slow, even heating ensures muffins come out hot with a lovely crust. It's seasoned with vegetable oil for a natural, easy-release finish. 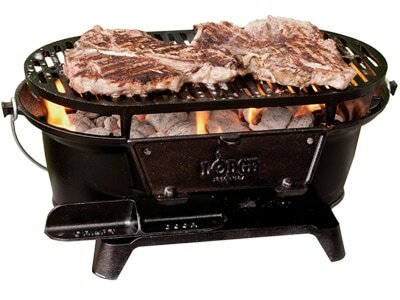 17 inch skillet provides a generous cooking surface that can handle any culinary creation from kitchen to campsite. ​The Lodge Cornstick pan provides 5 impressions shaped like ears of corn. Cast iron is the perfect medium for baking because of the superior heat retention and dispersal and children love the different shapes. It's seasoned with vegetable oil for a natural, easy-release finish.